Visvesvaraya was awarded Bharat Ratna in 1955; Engineers’ Day is celebrated on 15 September to mark his birth anniversary. New Delhi: Every year on 15 September, India celebrates Engineers’ Day to mark the birth anniversary of engineer, scholar and statesman M. Visvesvaraya. Born in Muddenahalli village in Karnataka in 1861, Mokshagundam Visvesvaraya was an ordinary man with extraordinary talents. He started his career as an engineer with PWD in Bombay before moving to Indian Irrigation Commission. He was also the chief engineer of the Krishna Raja Sagara dam project on the Kaveri river in Mysore. At the time, this was one of the largest reservoirs in Asia. Serving as the ‘diwan’ (chief minister) of the Mysore state from 1912 to 1918, he later transformed the region. He set up Mysore University and the Bank of Mysore. Visvesvaraya was also the brains behind automatic weir water floodgates, which were designed and patented by him. First installed at the Khadakwasla reservoir in Pune in 1903, the success of this project inspired similar installation at the Tigra dam in Gwalior and Krishna Raja Sagara dam in Mysore. He was also the man behind the invention of block system in dams, in which automated doors close during conditions of overflow. Besides, he was instrumental in designing the flood protection system in Hyderabad. For his contributions to the society, he was awarded the highest civilian honour ‘Bharat Ratna’ by the central government in 1955. In addition, he was awarded the British Knighthood by King George V in 1915. A civil engineer, economist, statesman, scholar, Visvesvaraya was a board member of the Tata Iron and Steel Company, currently known as Tata Steel. He is also the author of several books, including Nation Building and Reconstructing India, which covered issues pertaining to economy, social planning and governance of the day. Visvesvaraya passed away in 1962, at age of 101. 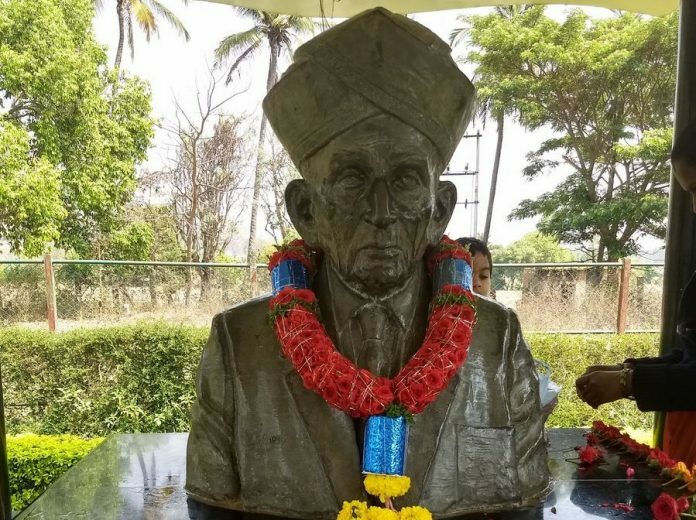 His memorial, managed by the Visvesvaraya National Memorial Trust, is located in his birthplace, Muddenahalli. In 1998, the Karnataka government set up Visvesvaraya Technological University in Belgavi as a mark of honour for this legendary engineer. “Industrialize or perish ” was his slogan I remember to have read in the museum in his memory in Bangaluru.